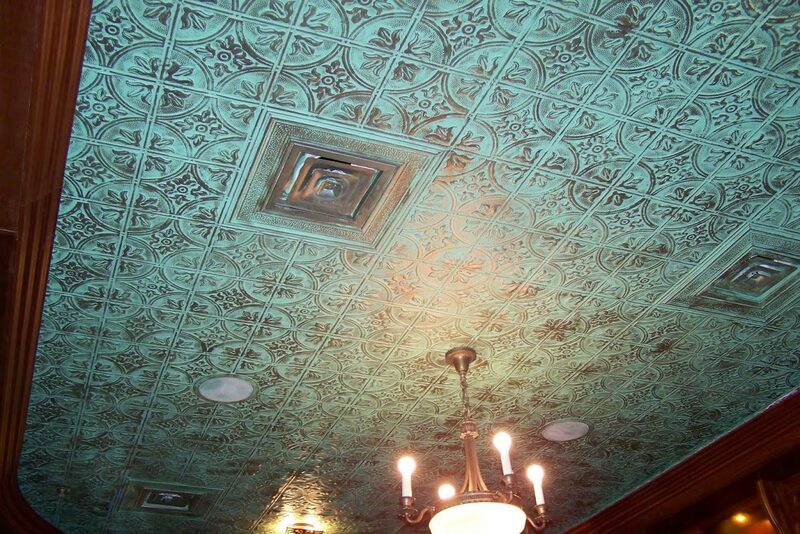 Dimensions faux tin ceiling tiles easily install to renew your home or business! Dimensions panels are durable and easy to clean with hot soapy water! Dimensions faux tin panels can easily be painted to enhance your decor! •Much easier installation - Cut with scissors and easily glue up! Available patterns and colors - Click to expand! 2. You can’t tell they’re not metal once installed! 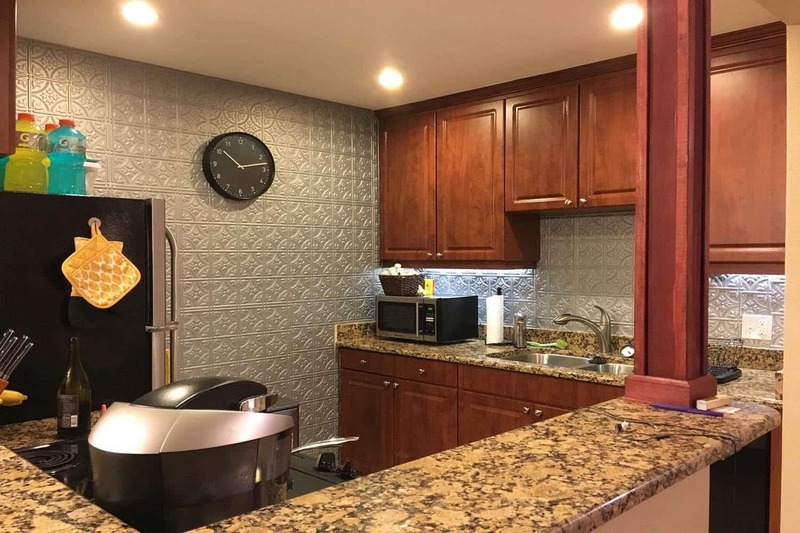 Clearer and crisper detail (vs stamped metal) is achieved in these 2’x4′ faux tiles by thermoforming thick 1/32″ durable & rigid matte white & solid colored styrene. Be aware that another brand uses thin cheap material. While you can tell it’s plastic in your hand, once installed you’ll be in disbelief it isn’t the real thing! 3. Inexpensively Paint to Color Desired! To match your decor! This can be done to create a unique and stunning two tone finish by simply painting over our solid colors and rubbing off the high spots. Easily spray paint or roll-on (1/2″ nap) our any of our styrene panels with latex paint+primer all in one or oil based paint. Other products don’t accept a paint as well as ours and can be much more difficult to work with. 4. 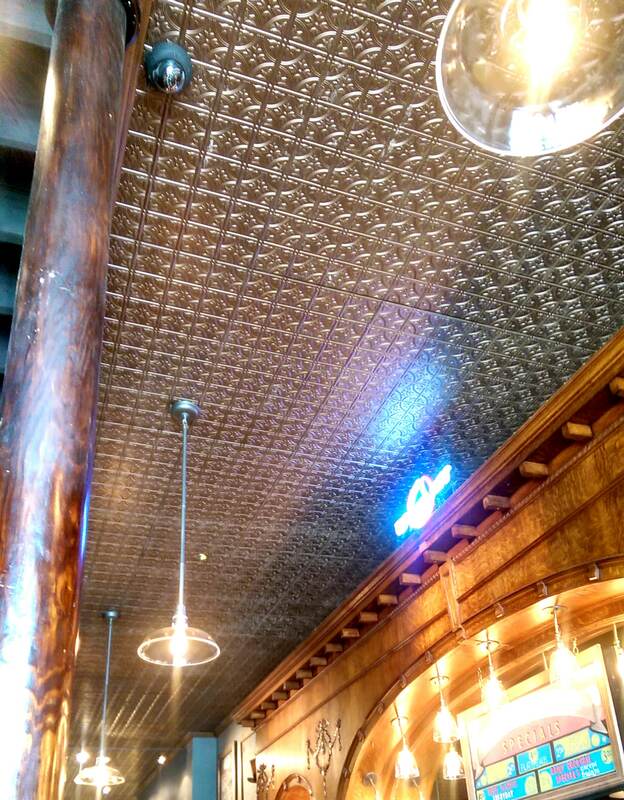 Our Faux Tin Ceiling Tiles Are Acoustical! Achieve an acoustical absorption up to a NRC .55* by gluing to perforated board with insulation above. Please call for more information. Unlike metal tin tiles which can make the room much louder, our tiles allow sound to pass through them. Depending on the surface installed on, this can equate to a dramatic difference in ambient and reverberant noise! Our panels are great for many different applications! Easily glue up to any solid ceiling surface! Can even be used over popcorn ceilings! These panels add a unique and durable finish, great for wall applications! 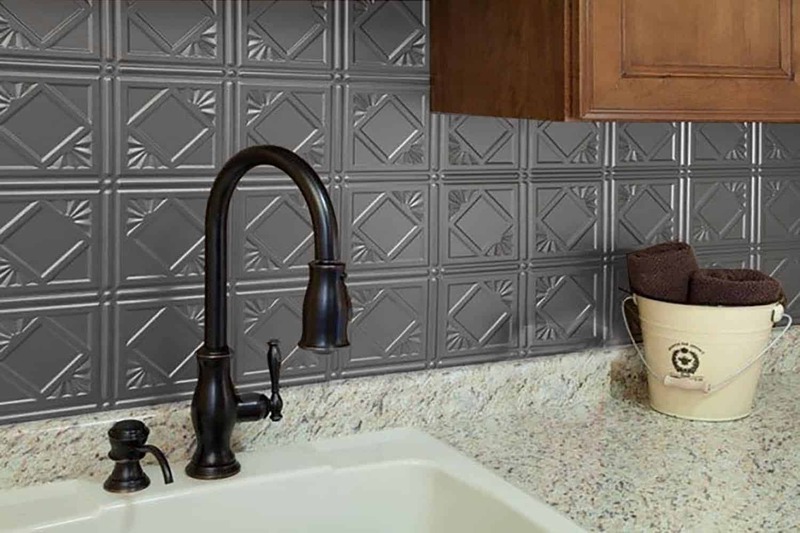 They're very durable and easy to clean, making them perfect for use as a backsplash! 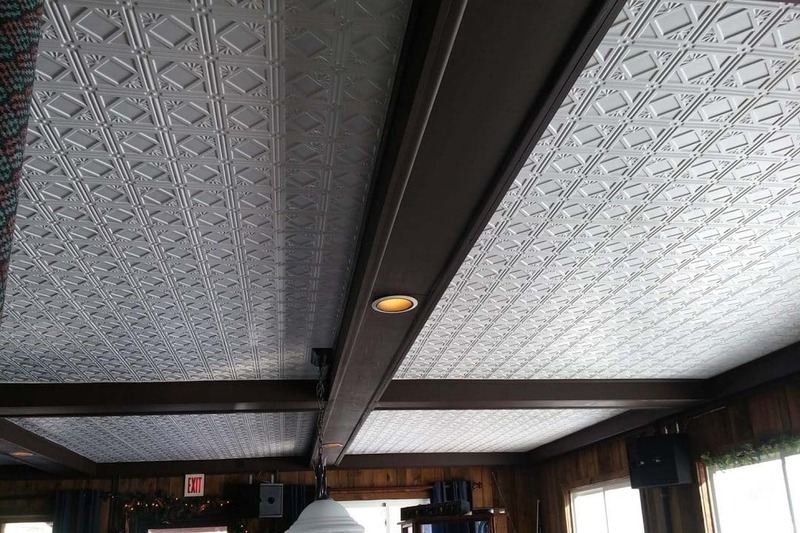 Since they allow sound to pass through, they make an attractive acoustical ceiling! Whether you have any questions, comments or concerns - we're here for you!